love, laurie: holy brussels sprouts! after visiting ritter's cider mill on saturday, we stopped by ritter's farm store to pick up a few fresh veggies before heading home. 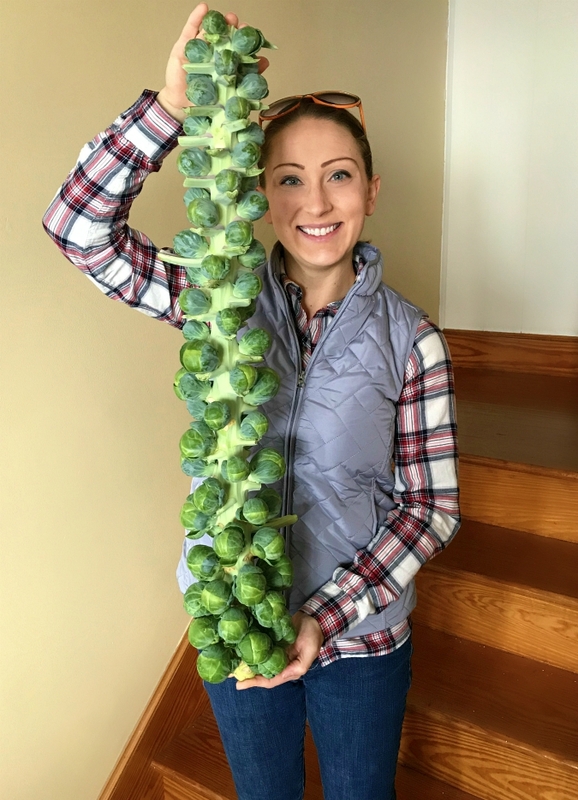 while we were there, we found this enormous stalk with 74 brussels sprouts on it! we couldn't resist bringing it home because it was only $4.99! we'll be enjoying brussels sprouts for awhile! I love that stalk of Brussels Sprouts, it is bigger than you. You will be eating sprouts all winter. That could be Don's lifetime supply of brussel sprouts!